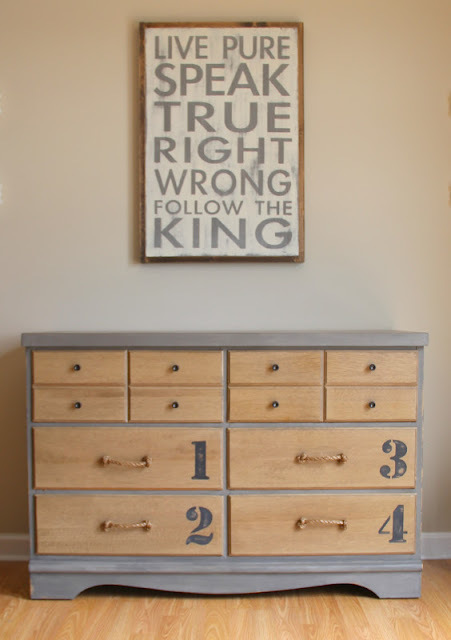 Industrial dresser with stenciled numbers and rope handles. 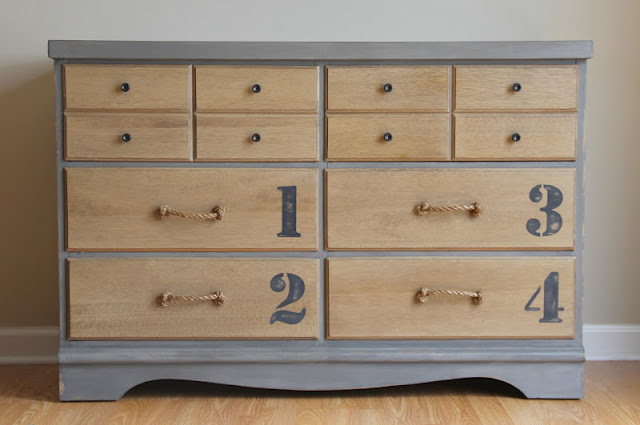 Outside of dresser is painted in gray with a special finish to resemble concrete/old metal. 6 drawers - 46 inches long, 31 high and 17 deep.